Elderflower “champagne” is a lightly alcoholic beverage that is naturally bubbly and worthy of raising a glass of in honor of whatever needs celebrating today. The quotation marks are there because technically I can’t call this sparkling drink champagne since it doesn’t contain grapes from the champagne province of France. This elderflower “champagne” recipe is from my book Preserving Everything. It is my version of the way this beverage has been made for at least a couple of centuries. Don’t be alarmed at the large amount of sugar or honey: that’s to feed the wild yeast, not you. 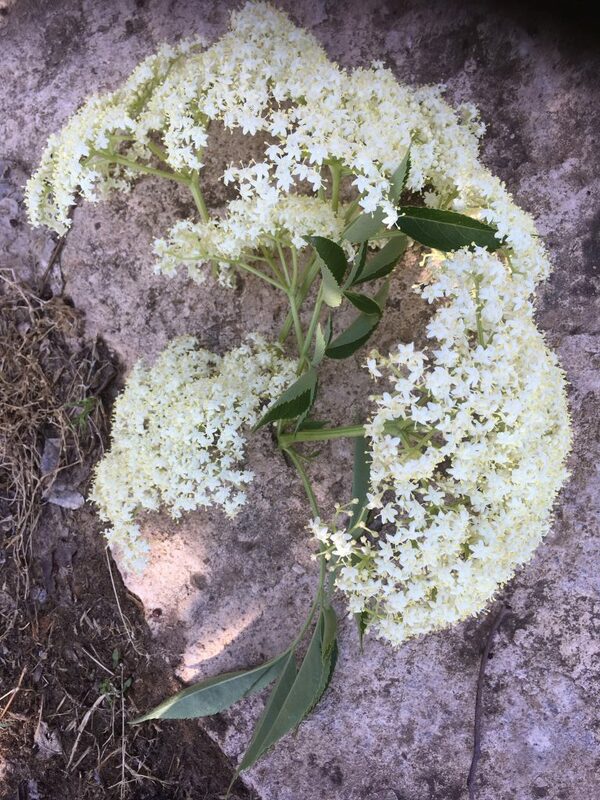 There is no need to add yeast because there is enough wild yeast already present on elderflowers. 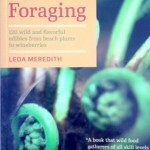 Foragers take note: only the flowers and fruit of the elderberry shrub are edible. 1. Do not wash the flowers–it’s their natural yeast that will cause fermentation. Just shake off any insects and remove the thick stalks. 2. Place the honey in a very large bowl and cover with 2 pints of boiling water. Stir to liquefy. 3. Add 6 pints cold water. Stir in the vinegar and the flowers. 4. Cover and leave, for 48 hours, stirring occasionally. 5. Strain out the flowers (and lemon rind, if using). Pour into clean plastic bottles with screw tops (or, better, thick ceramic or beer bottles with flip tops, but the fermentation will be vigorous and could explode regular repurposed wine bottles). Leave at least an inch of head space. 6. Leave at room temperature for a week, “burping” (opening briefly) the bottles occasionally. After that, move them to the refrigerator, but keep “burping” the bottles for another week. Store for an additional 1-4 weeks before serving cold. The earlier you drink it, the yeastier it will taste. Wait the full six weeks from bottling if you want it at its best. (Note: the honey version takes longer to ferment out than the sugar version. The final drink should be fizzy and sweet, but not cloyingly so). Elderberry wine is excellent. I can not find it anywhere. Note that you should strip the flowers from the green stems. 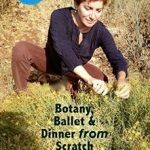 You can do this by rolling the flower heads between your hands. The green stems impart an unpleasant vegetal taste to the final product. Even if you leave out the “thick stalks” as instructed here, but leave in the thinner stems, your flavor will suffer.